Lenovo-owned Motorola is said to be working on a new P30 smartphone series. The smartphones from P30 series are Moto P30, Moto P30 Note, and Moto P30 Play and these are likely to go official tomorrow, August 15 in China. The Moto P30 has now been leaked online revealing all its specs and design. 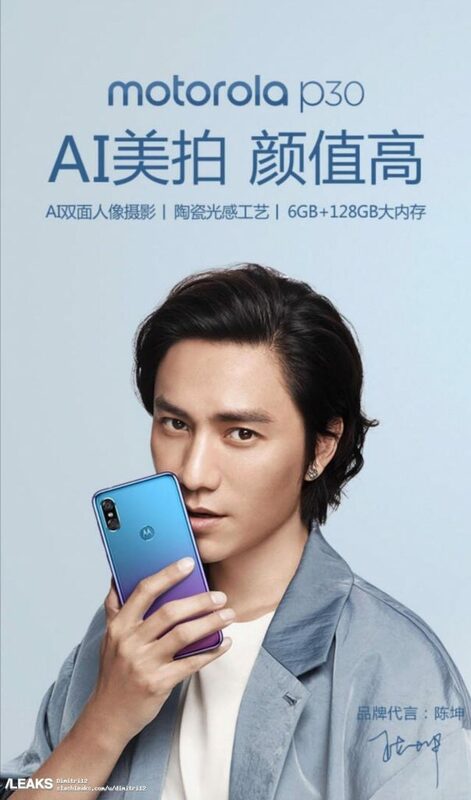 The promotional posters of the Moto P30 have surfaced in China as spotted by Slash Lekas. 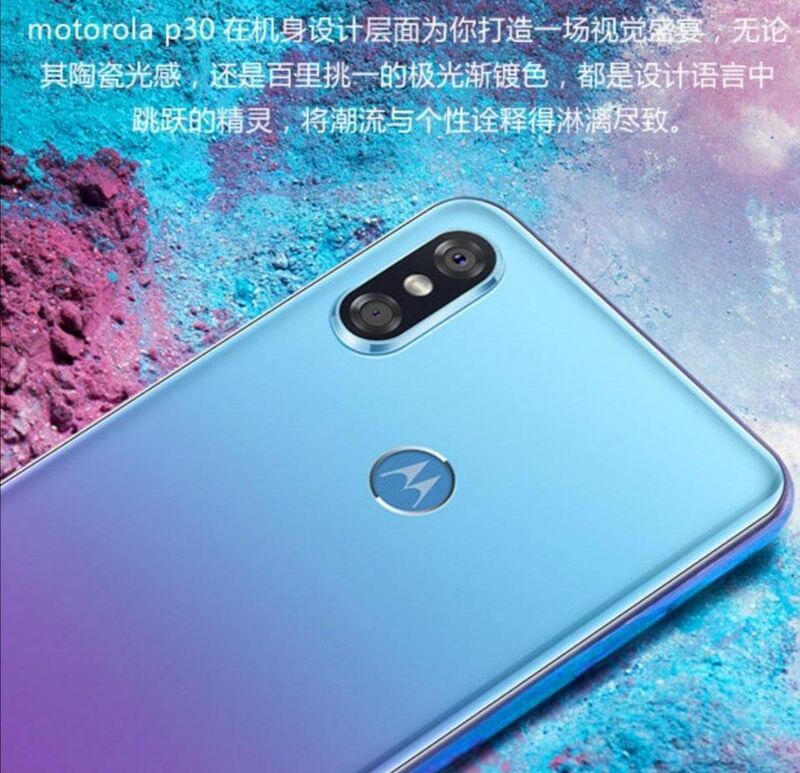 These images reveal that Moto P30 will sport a similar design and specs to the Lenovo Z5 that was launched in June. The highlights specs are a 19:9 display, Snapdragon 636 with 6GB of RAM, and glass back with gradient design. 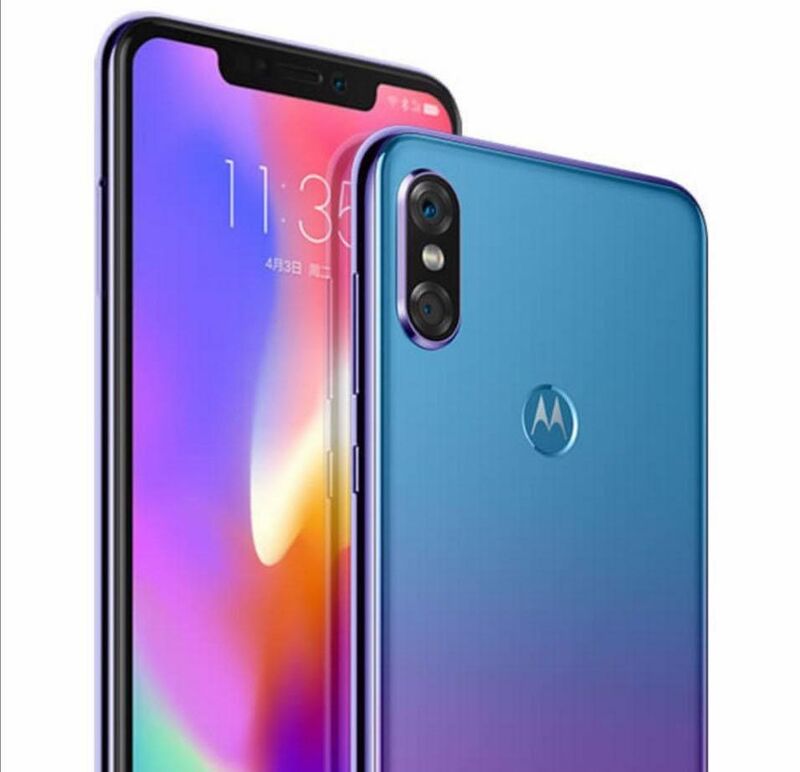 As per the leaks, the Moto P30 will sport a 6.2-inch FHD+ (2246 × 1080 pixels) display with 19:9 aspect ratio and a notch on top. It will be powered by a Snapdragon 636 processor with up to 6GB RAM and up to 128GB internal storage which is expandable up to 128GB with microSD. It will be running Android 8.1 Oreo out of the box. In terms of camera, it will sport a dual rear camera with a 16MP primary rear camera with LED flash, f/1.8 aperture, 1.25μm pixel size, and a 5MP secondary rear camera. It is expected to come with a 12MP front-facing camera with f/1.8 aperture and AI face unlock. Connectivity options will include 4G VoLTE, Wi-Fi 802.11 ac (2.4GHz + 5GHz), Bluetooth 5, GPS + GLONASS. It will be powered by a 3000mAh battery with fast charging support. In a separate news, AndroidPure has spotted the official listing of Moto P30 in China that has revealed the prices of the new Moto smartphones. As per the listing, both the Moto P30 and Moto P30 Note start at CNY 1,999 (Rs. 20,300 approx.) while the Moto P30 Play is priced at CNY 1,799 (Rs. 18,300 approx.). As per a teaser posted on Weibo, the Moto P30 will be launched in China on August 15. The Motorola P30 is expected to come in White, Black, and Aurora Blue colors.